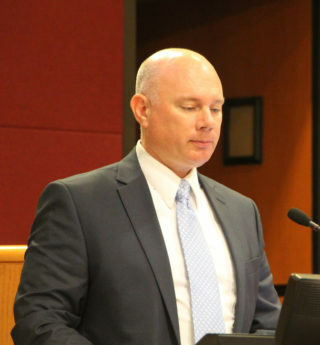 As a senior planner for Sarasota County for 22 years, Brian Lichterman told The Sarasota News Leader, he was the primary person responsible for implementing a process that Benderson Development has initiated for its proposed Siesta Promenade project. “I’ve done over 30 of those things,” he said in a Jan. 25 interview, referring to a Critical Area Plan, or CAP. 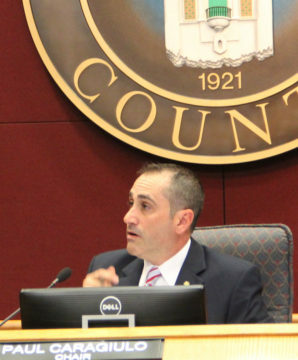 That expertise, he pointed out, lay behind his assertion to the County Commission last week that it was taking the incorrect approach on Siesta Promenade. The purpose of establishing a boundary for a CAP project, Lichterman explained, is to insure that all the important changes a proposed development will bring to a specific area are addressed. The boundary, he added, is not intended to encompass just the area of the project. 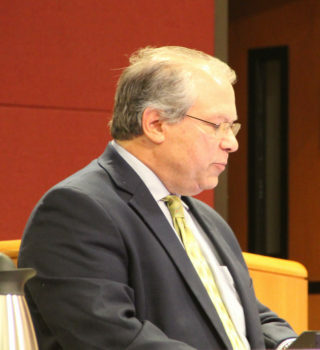 Yet, that is exactly what Benderson has sought in its application for a CAP for Siesta Promenade, Lichterman told the County Commission during the Open to the Public part of the board’s afternoon session on Jan. 25. As the owner of Vision Planning & Design in Sarasota, Lichterman was representing the Pine Shores Neighborhood Alliance, a coalition of six neighborhood associations and commercial property owners in the vicinity of the 24-acre site for Siesta Promenade. The project would stand on the northwest corner of the Stickney Point Road/U.S. 41 intersection, just east of Siesta Key. A discussion on the scope of work county staff planned to require of Benderson was the next item on the agenda following Open to the Public. “I’m here to respectfully but strongly urge you to significantly expand the boundaries,” Lichterman told the board. “This is a critically important, regional intersection,” Lichterman stressed. The CAP process, he added, was intended to create a comprehensive planning tool to address area-wide solutions in regard to future land use, compatibility, transportation, traffic circulation, cut-through traffic, walkability, drainage, utilities and urban design. 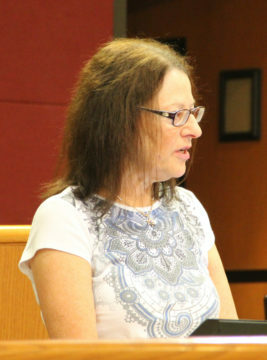 Sura Kochman, a Pine Shores resident who has lived part- or full-time in the county for the past 60 years, added another layer to Lichterman’s argument. However, the board chose not to settle on the boundary when it held an Oct. 11, 2016 public hearing on the issue, she pointed out. Instead, the commissioners continued that hearing, agreeing to hold one public hearing on the CAP boundary, Benderson’s request for the CAP and the petition for the rezoning of the property, Kochman added. A staff memo prepared for the commissioners in advance of the Jan. 25 agenda item also did not call for the boundary decision to be handled at the outset of the process, she noted. Yet, the boundary Benderson has proposed “does not include neighborhoods or retail businesses nearby, which a real CAP is supposed to encompass in the true sense of the concept,” Kochman emphasized to the commissioners. A Dec. 19, 2016 neighborhood workshop staff conducted on the project “was held prematurely,” she said, as the boundary at the focus of that session was just the one Benderson has proposed. The appropriate step, she said, would be for the board to ask staff to come back to it after the studies called for in the scope of work were completed. Then, the commissioners could approve the boundary or decide whether a CAP even is appropriate for the site, she pointed out. 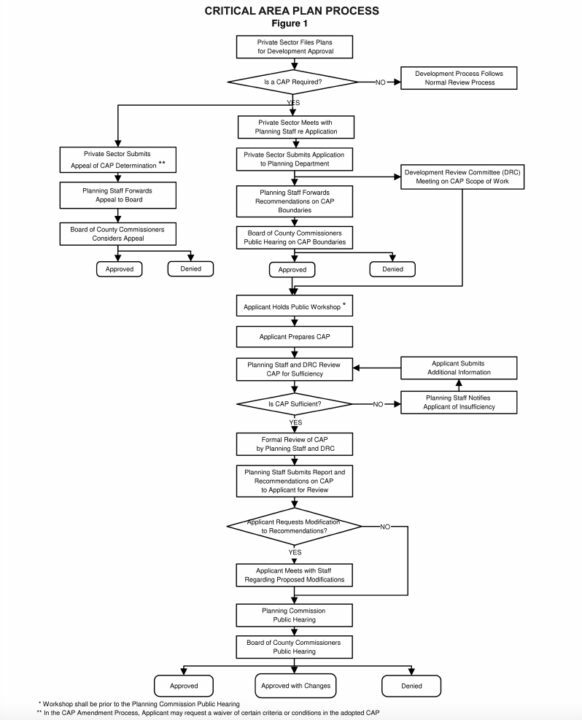 If the board approved the boundary then, that would enable the requirements outlined in the flow chart to proceed as specified by county ordinance, she continued; the very next step would be a public workshop. Under the Next Steps heading, the staff memo says that after the scope of work has been approved, “the Applicant will compile the required analysis and information and submit a new CAP application.” Following submission of that material, the memo continues, staff will review it to determine whether the application has been completed. Such a review would be expected to take 30 to 45 days, the memo points out. The memo adds that staff anticipates the first public hearing — which would be before the county’s Planning Commission — to occur about 60 days after staff begins the formal review of the application. The final hearing before the County Commission would be expected approximately 45 days after the Planning Commission addressed the issue. No other board member raised concerns about the issue. One further concern Kochman voiced focused on a change in the parks and recreation requirements for the scope of work. The original staff recommendation, she told the commissioners, called for 1 acre set aside for recreational purposes for each 47 dwelling units. “Your new scope of work has omitted that and put in nebulous wording,” she said during her Jan. 25 public comments. The number of dwelling units for Siesta Promenade has been touted by county staff and document in a range from about 501 to almost 600; 150 of them would be hotel rooms. She had asked for a clarification from Carolyn Brown, director of the county’s Parks, Recreation and Natural Resources Department, she added. No commissioner addressed the parks and recreation points during the Jan. 25 discussion.